Spain has vast and diverse landscapes that if you are pressed for time, with only a week for the country, it would be hard to resist to pack in too much on the days you have. This suggested itinerary for Spain should help you narrow down some of your own travel priorities. One week provides you enough time too see some of the best attractions in Barcelona, Seville and Madrid. If the pace is a bit breathless, consider skipping a stop to have some chill-out time. 2. Money and Currency – The official currency of Spain is the Euro (EUR), the same currency now used by most Western European countries with the exception of the United Kingdom, Switzerland and Norway. Exchanging money in Spain is easy and follows the same standard to elsewhere in Europe. The best way to get local currency (Euros) is to use the ATM and withdraw in Euros to get the best rate. You may also transact with Banks and Bureaux de change. 3. Social Life and Etiquette – Spanish people usually have breakfast at around 10:00 am, while lunch (la comida), the biggest meal of the day is normally from 2:00 to 4:00 pm. Dinner is no earlier than 8:00 pm and often start as late as 10:00 pm, and it is a very light meal followed by a leisurely stroll (paseo). Tipping is a common practice in Spain, although not always expected. People in Spain tend to be always on time so it is important to get used to the time zone. 4. Getting around – High-speed AVE trains (Alta Velocidad Española) link major cities and allows travelers to explore the beauty of Spain effortlessly. Seat reservations are required on the AVE trains and are included in the ticket price. If you book in advance online, you can find some great cheap fares at the official Spanish Rail Website (www.renfe.com). Flying is another option which most of time is cheaper than the AVE trains. Just remember to book months ahead your travel dates. 5. Where to stay – There’s a great variety of accommodation in Spain, ranging from small family-run pensions to five-star luxury hotels. 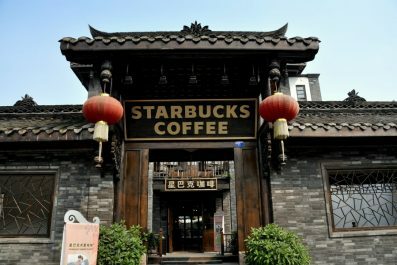 In almost any town, there’s something for every level of comfort and budget. 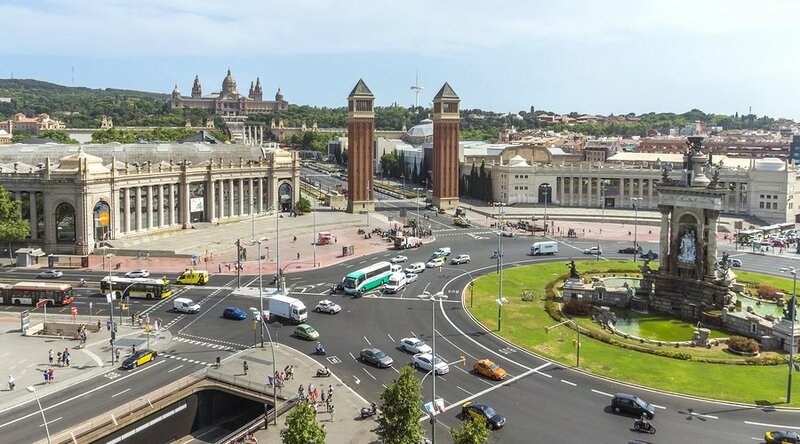 In Barcelona, it is recommended to stay in downtown on and around Plaza Catalunya to get easy access to the city’s famous attractions. In Seville, El Arenal is best for first time and short term travelers. 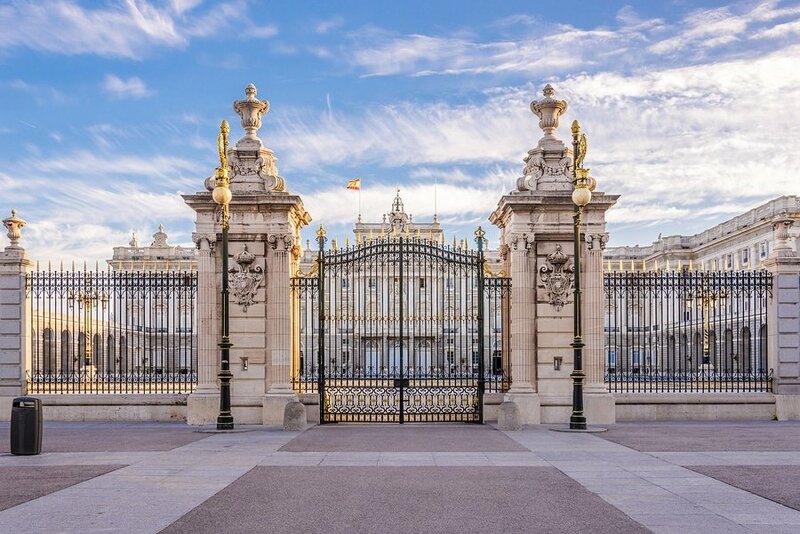 In Madrid, Opera el Madrid de los Austrias, the Cortes and Letras neighborhood are some of the best locations in terms of historical, cultural and gastronomy experience. 6. Getting there – Fly to Barcelona and then fly back home from Madrid. 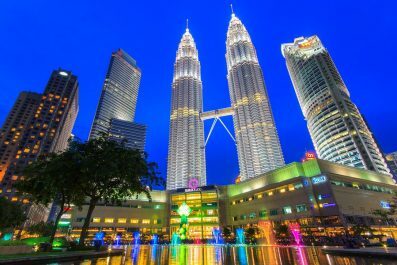 Prices are very reasonable – From Dubai a round trip will cost you about 447 USD with stopover in Stockholm, from Moscow through Zurich the price of the airfare is a little bit less than 250 USD (dirty cheap!!! ), from New York you can snap a ticket for less than 700 USD and from Hong Kong you could get to Barcelona and back home for 691 USD and up. Your adventure in Spain starts today. 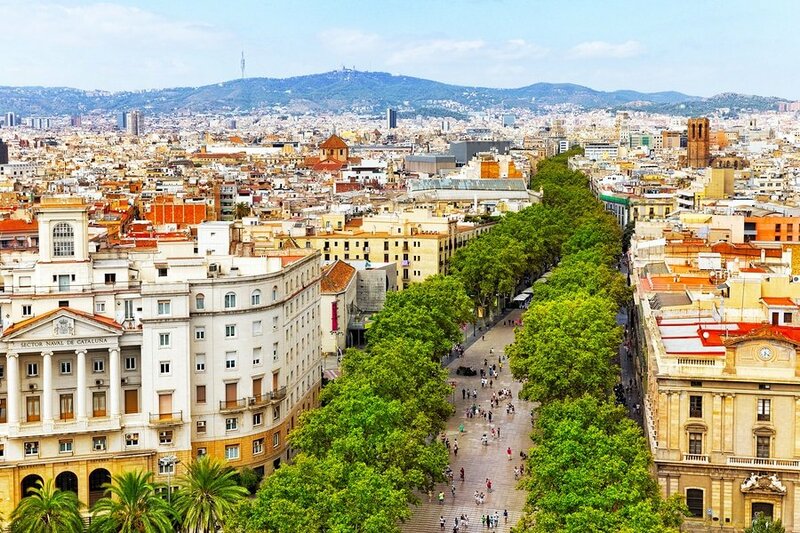 Arrive in Barcelona, Spain’s second largest city and home to the iconic La Sagrada Familia. Check in to your preferred hotel, before having the morning to take in some of the tourists attractions. Start at Barri Gotic (Gothic Quarter), a narrow cobblestone street full of things to see and experience – all within easy walking distance. 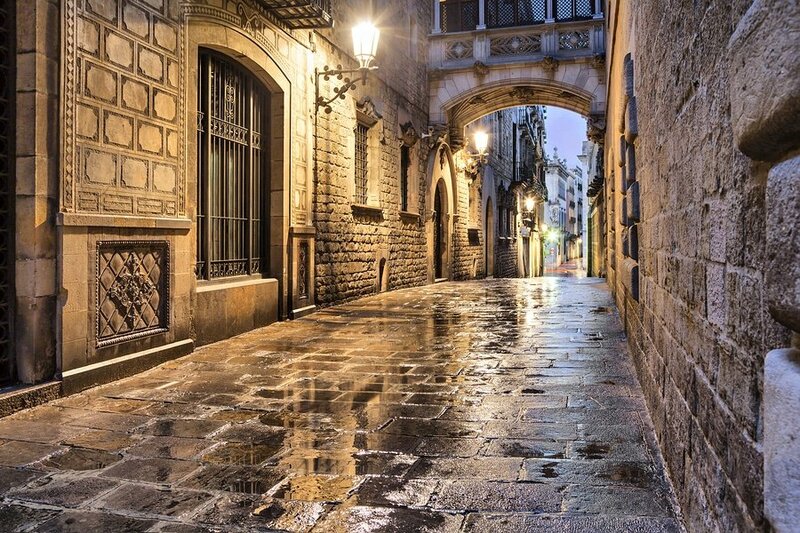 This street is the centre of the old city of Barcelona which will make you feel like walking back into the middle ages. 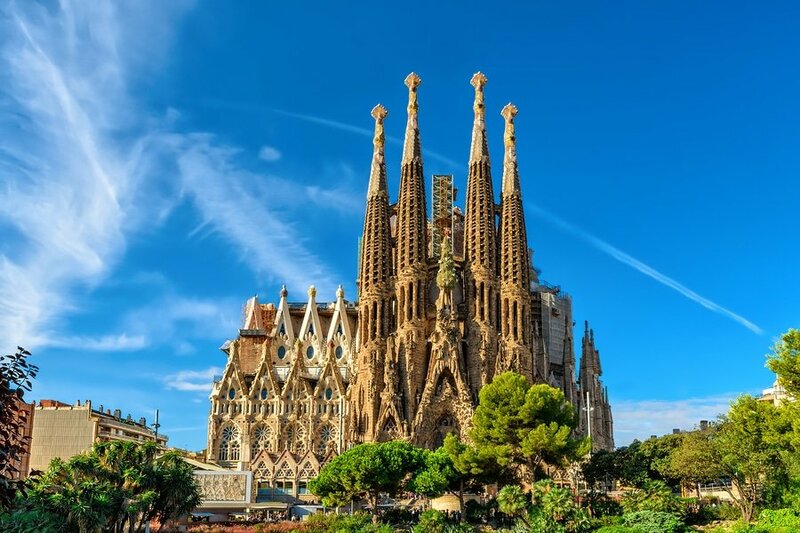 In the afternoon, go northbound to the La Sagrada Familia, one of Antoni Gaudí’s most famous works in Barcelona and is a perfect example of Catalan Modernism. To cap your afternoon, head to Park Güell, a public park system that depicts Gaudi’s interpretation of nature and architecture. At night, enjoy the best dining in the city by trying some of the famous restaurants such as Uma, Viana Barcelona, Trafalgar and Santa Rita Experience. On the morning of second day, get set to experience the glories of Barcelona. Start by grabbing some breakfast. A typical breakfast in Spain is a simple combination of coffee with milk and pastry such as croissant. If you like a more hearty food, remember that breakfast is not the most important meal in Spain, so you have to know where to go. You can try Milk Bar & Bistro (Carrer Gignàs, 21, 08002 Barcelona, Spain; tel: +34 932 68 09 22), B My Bagel (Calle Planeta,37, 08012 Barcelona) or Marmalade (Carrer de la Riera Alta, 4-6, 08001 Barcelona, Spain; tel: +34 934 42 39 66). After breakfast, join a guided tour through the heritage district of Quadrat d’Or. Guided tours to this district normally lasts for 2 hours. You will have an opportunity to explore the modernists architectural gems such as Casa Batlló, Casa Amatller, the Palau de la Música Catalana and Museu del Modernisme Català. In the afternoon, go on a gastronomic adventure through the old town, Ciutat Vella. You may also go back to Barri Gotic (Gothic Quarter) and explore its other architectural wonders. 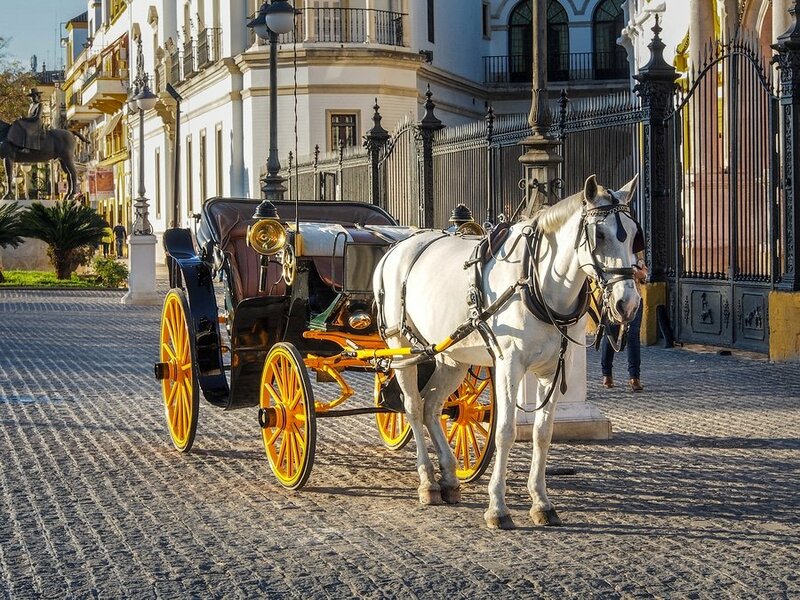 Depending on your time of arrival, you can either take it easy or soak up the atmosphere in Seville or you can begin your tour of its famous attractions. Assuming you arrived in the afternoon, you can spend your time wandering the labyrinth of narrow streets of Barrio de Santa Cruz. 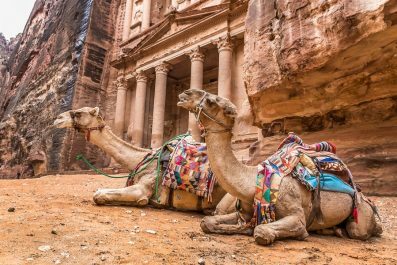 The opportunity for incredible photographs is endless during this walking tour, so frequent stops are recommended to enjoy its medieval streets. 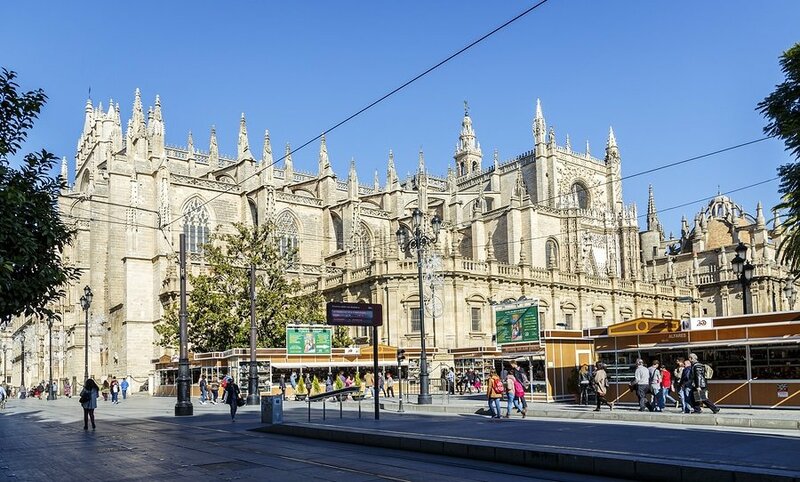 On the morning of Day 4, head for the Catedral de Sevilla, the largest Gothic cathedral in the world,and the third-largest church in the world. Then climb to the top of Giralda Tower and marvel at the views. 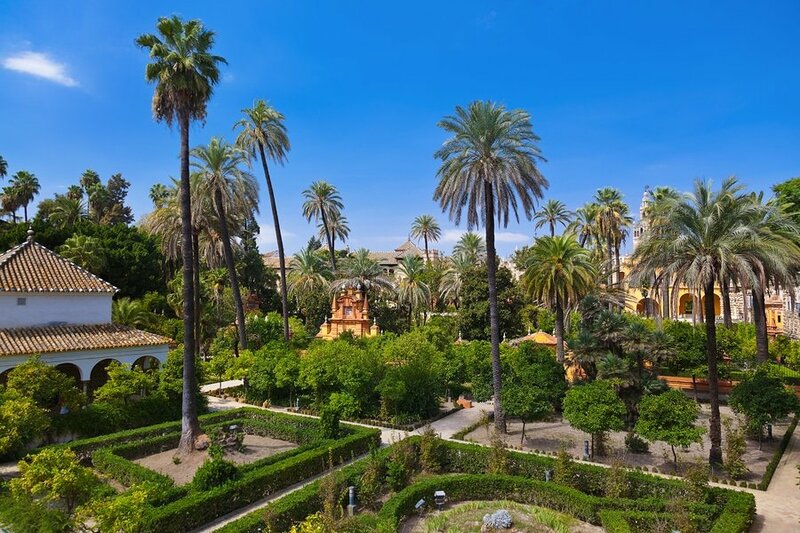 Head north of Cathedral and explore the, a royal palace that was built and developed by the Moorish Muslim kings (Patio de Banderas, s/n, 41004 Sevilla, Spain). With time remaining, go for a stroll through Plaza de España, located in the Parque de María Luisa. In the evening, do not miss to try the traditional tapa bars and stand at the bar while eating tapas and drinking lager beer. Visitors will surely appreciate Seville’s unpretentious bar scene and vibrant nightlife. The Alcázar of Seville is a royal palace in Seville, Spain, originally developed by Moorish Muslim kings. Its garden are definitely worth your time! The average travel time between Seville and Madrid is 2 hours and 30 minutes via the High-speed AVE trains. One way train ride costs approximately 60 USD to 100 USD on this route. The center of Madrid is undoubtedly an excellent base to explore the city. Gran Via road is the busiest part but it is centrally located and offer excellent access to restaurants, shops and theaters. Paseo del Prado, on the other hand, is more peaceful and near some of Madrid’s finest museums. Get settled and eat at one of the many restaurants in Plaza de Santa Ana, known for its outdoor patios. Spend the rest of your first day in Madrid by exploring the nearby attractions in Puerta del Sol. Start your second day early by enjoying breakfast at Café de Oriente located just opposite the Royal Palace (Calle de Bailén, s/n, 28071 Madrid, Spain). Then take the Metro to Atocha to begin your tour of the Museo Nacional del Prado, the main Spanish national art museum. Dedicate at least 2 hours in this museum and enjoy viewing the works of some of the greatest European masters like Francisco de Goya, Diego Velázquez, Raphael and Peter Paul Rubens. In the late afternoon, head for Plaza Mayor, one of the best-known and busiest places in Madrid. 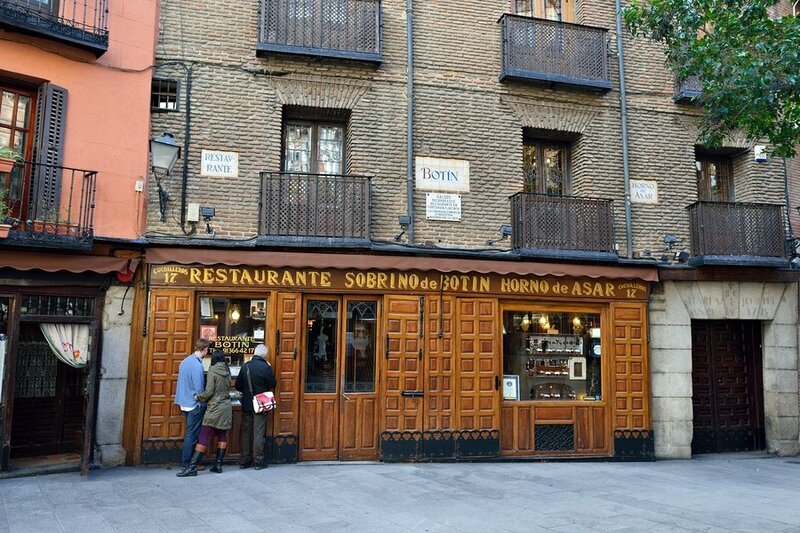 For dinner, celebrate your last night in Spain at Restaurante Sobrino de Botín (Calle Cuchilleros, 17, 28005 Madrid, Spain; tel :+34 913 66 42 17), the oldest restaurant in the world and a personal favorite of Ernest Miller Hemingway. Do not leave Spain without getting some souvenir from the many markets around Madrid. The quality of leather in Spain is very high, so instead of buying cheap things that you will never use, purchase some leather goods for yourself and your loved ones back home. From leather bags, shoes, coats to wallets, you will be amazed of the quality and design. You may also purchase Lladro porcelain, football souvenir shirts, Rabbits, Spanish shawls and so much more. Depart from Adolfo Suárez Madrid–Barajas Airport. Have you been to Spain? Do you have any tips or suggestions to share? If so, you can leave your comments below.